I've attended the Rat Academy in the past and found it to be extremely informative and useful for learning how to prevent rat infestations. 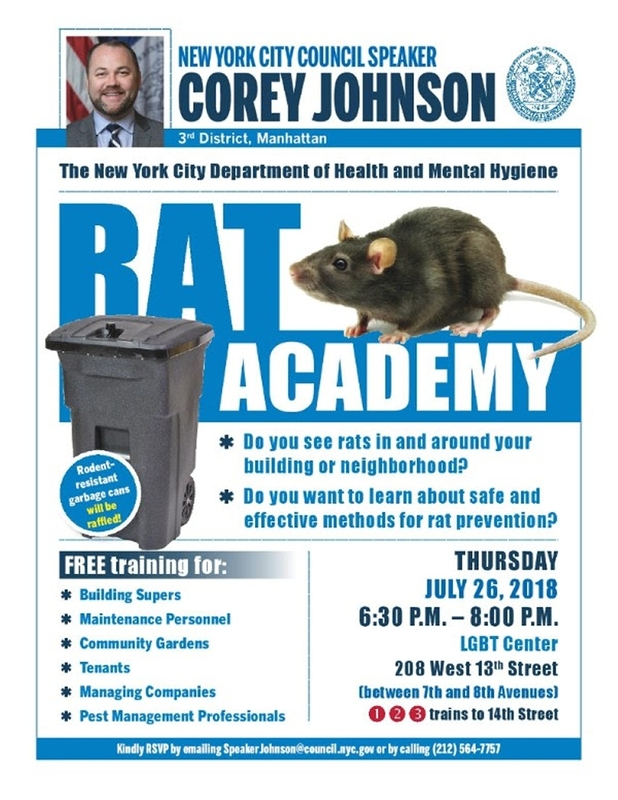 Rat Academy is free and open to everyone, including property owners, maintenance workers, business owners and tenants. There's even a raffle for rat-proof garbage cans! I highly recommend attending if not for any reason than to brag to your friends that you are a proud graduate of Rat Academy.